Well made abit of a dent in my Roman army. Four stands painted and just stuck on bases. Took me most of Friday and Saturday but got there. 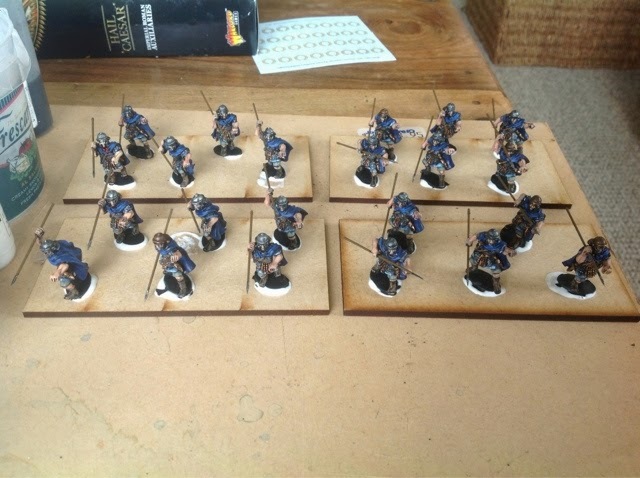 I have two stands of skirmishers I will paint up tonight to complete a good few days. Next big job is four stands of spear, 32 figures, which I hope to finish by the end of next week. After that just six stands of cavalry and my baggage plus a few casualty markers. Hi mate, I would like to give you a Liebster award. Look at my blog for directions.